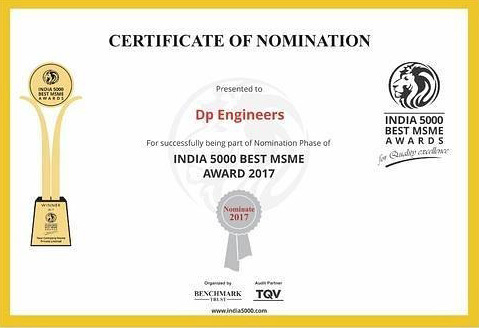 Founded in the year 1995, D. P. Engineers is a principal company affianced in manufacturing, exporting, supplying, distributing, wholesaling and trading a huge spectrum of Air Cooling System, Clean Room Equipment, Cooling Tower, Spare Parts, Industrial Filters, Cooling & Condenser Coils, Industrial Blowers & Fan, Humidification & Ventilation Equipment, Pharmaceutical Sparkler Machine Filter, Fan Coil Units and Bag Filter. Developed and fabricated as per the market prescribed production at our fabrication unit, these offered products are highly long-lasting in nature and are recognized for their tough nature. We, D.P.Engineers are a reputed name for Manufacturing Variety of Air Filters & Air Conditioning Related Components.